The Sierra Nevada Section is one of the largest and most active sections in the American Alpine Club. With more than 1,200 members living in Northern California and Northern Nevada, they have a long tradition of community and volunteerism that unites members and welcomes all climbers. With the likes of Yosemite Valley, Tuolumne Meadows, Lovers Leap, Donner Summit, Pinnacles National Monument, and Bishop—not to mention the endless granite summits of the Eastern Sierra—there is enough climbing to keep anyone busy for several lifetimes. Sierra Nevada Section members regularly gather at events throughout the year to climb, help preserve crags and mountains, and socialize. 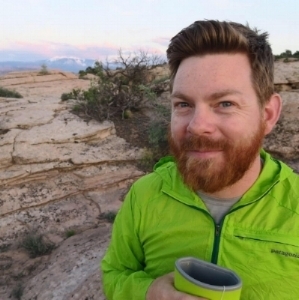 Sam Nies grew up backpacking and adventuring in the Sierra Nevada mountains. Climbing took off for him in the mid 2000's when he summited Mount Shasta and afterwards went after every other mountain he could find. Climbing of all kinds gives him an excitement for life in the outdoors and a challenge to protect it. He loves working with the AAC to help bring others into the fold of honoring each other and preserving the places we love to climb.